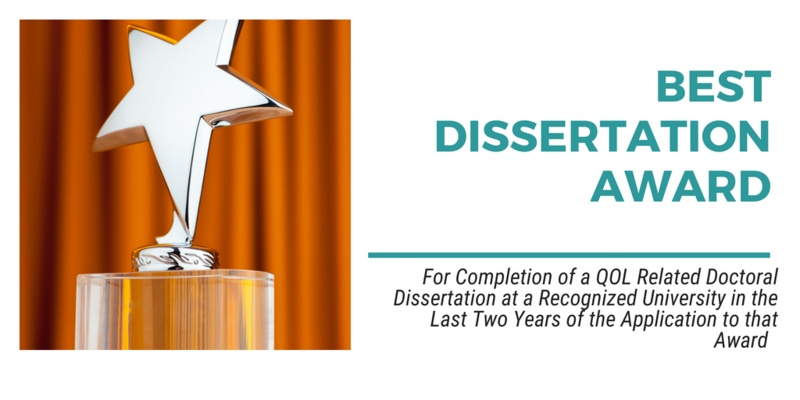 The basic requirement for eligibility for the Best Dissertation Award is evidence of completion of a doctoral dissertation at a recognized university in the last two years of the application to that award. The dissertation topic has to be directly related to QOL research. Short versions of dissertations are submitted to the annual conference chairs, who in turn review the dissertations with the assistance of the Vice-President for Academic Affairs and an ad hoc review committee. The top-ranked dissertation is selected for the award.